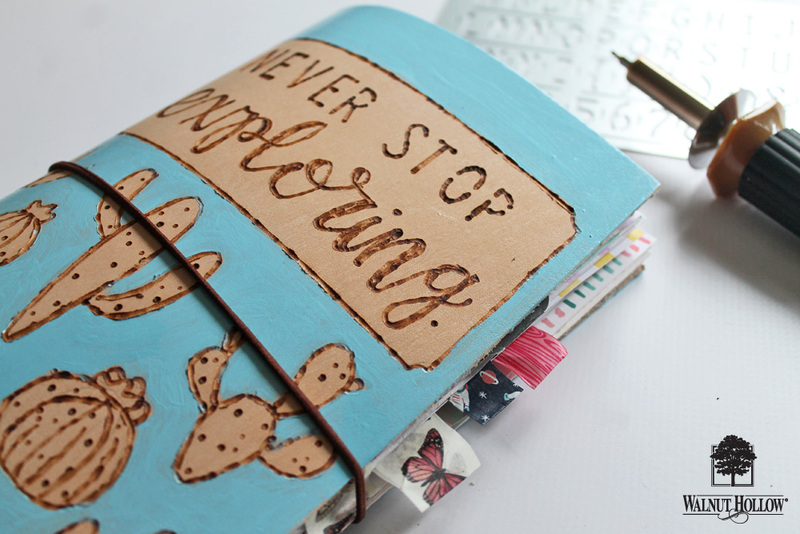 Do you love Traveler’s Notebooks? I do! 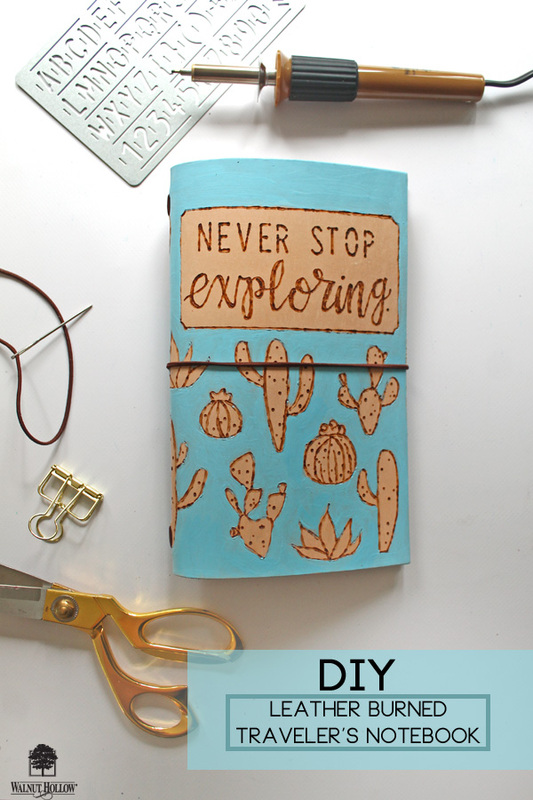 And so today I wanted to show y’all how you can create your own custom journal cover using leather from Silver Creek Leather and Walnut Hollow’s Leather Branding Tool! 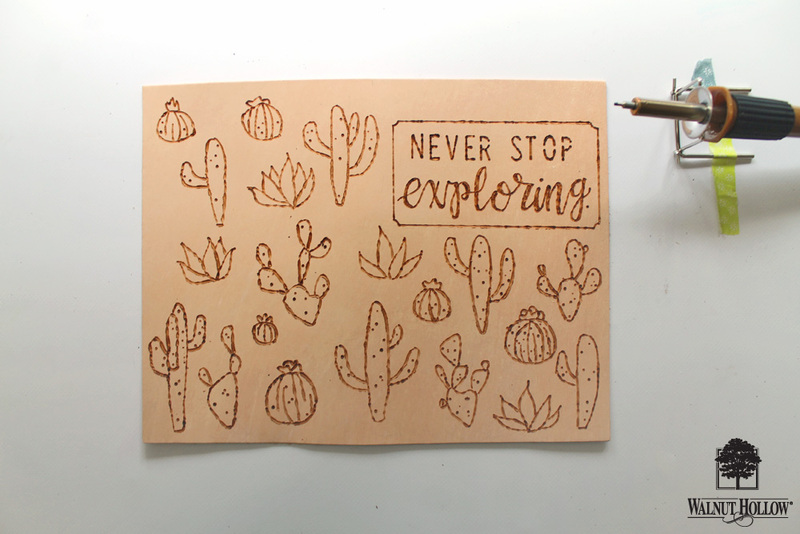 The 8×11″ sheet of leather is already perfectly sized for a Traveler’s Notebook, so we just need to decorate it, and the leather branding tool is perfect for that. I love being able to burn designs into the beautiful soft leather. 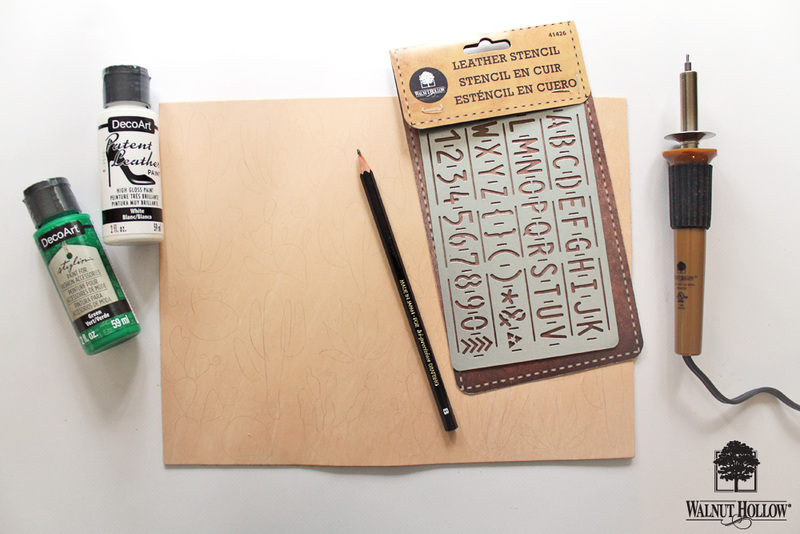 You can use the Leather Stencil to quickly and easily burn letters into your leather. 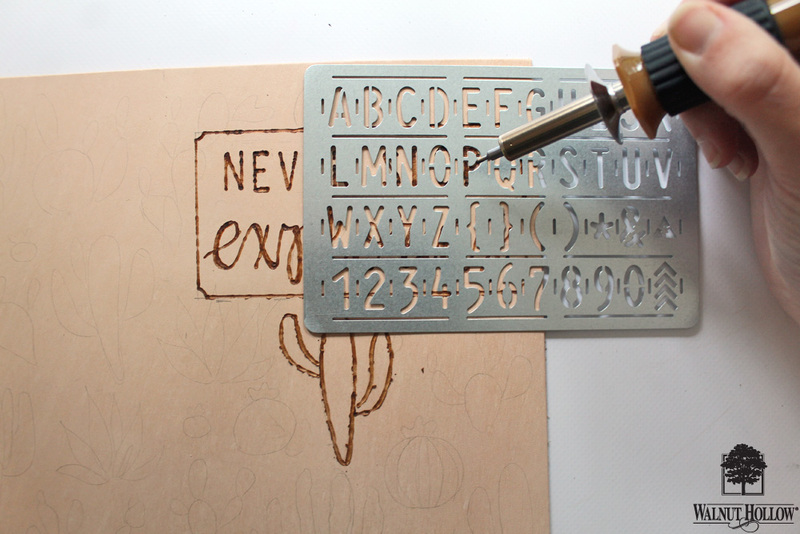 The mini flow point on the branding tool fits perfectly into the metal stencil. Continue burning designs until you’re happy with it. 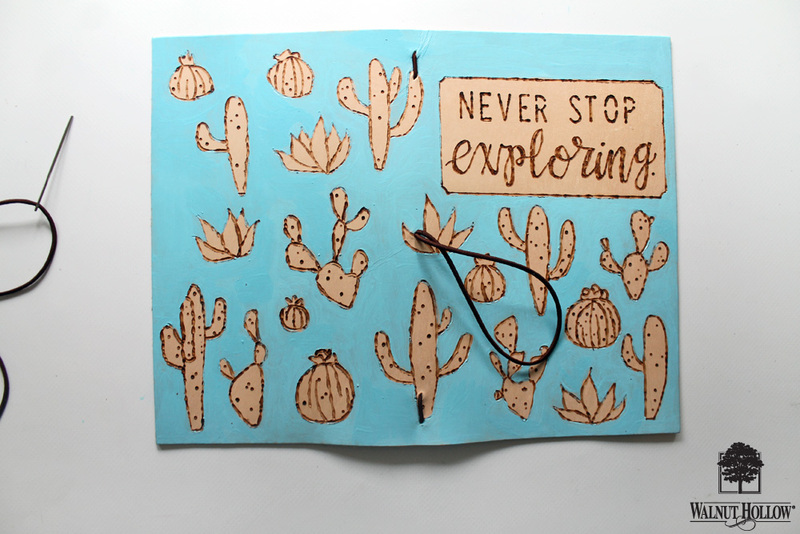 I covered my piece of leather in cactus doodles. Take a small #2 paint brush and apply DecoArt’s Patent Leather paint around the burned designs. A small paintbrush is handy for getting the detailed areas. I mixed turquoise and white 1:1 for a lighter blue paint. Next, take your awl and punch 4 holes into the leather at the top and bottom edges. I punched mine at .5 and 1″ from the edges. Sew your elastic thread through the holes, tying it on the inside. Punch 1 more hole, this time in the middle of your leather piece. Thread a 11″ piece of elastic through the hole and knot the ends together on the inside. You’ll have a large loop of leather on the outside, and you’ll use this to hold your notebook closed. And that’s it! 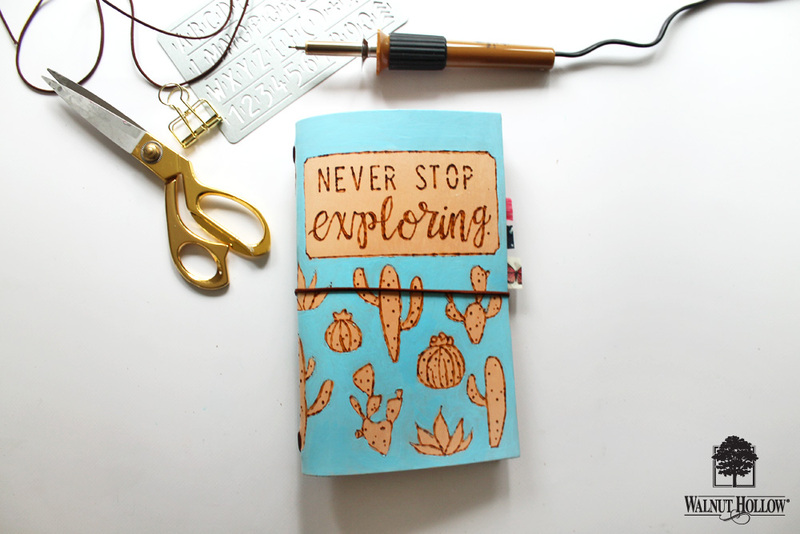 Add a couple of Traveler’s Notebook Inserts to the inside of this leather journal and you have a beautiful new notebook cover! Being able to create your own leather designs with the Leather Branding tool means that you can more your own unique TN covers! 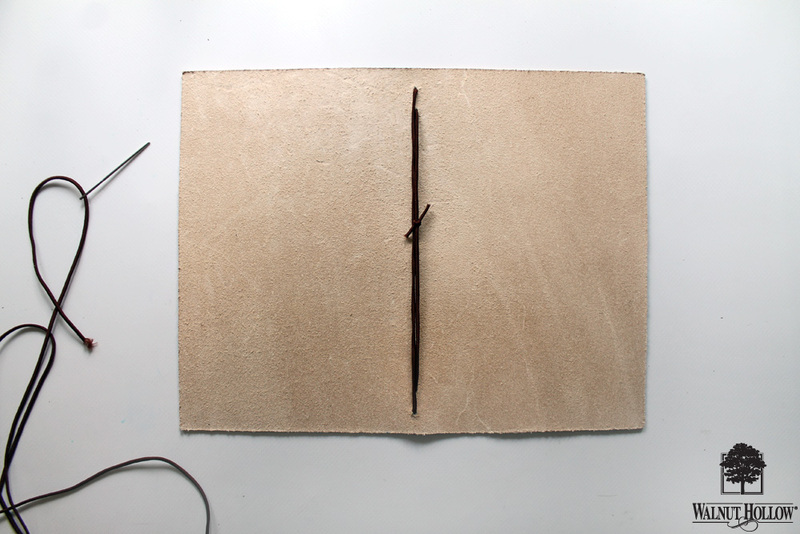 You can purchase a Leather Branding Tool here, It comes with 3 different tips you can use! Bio: Katie is an artist currently living in the Pacific Northwest. 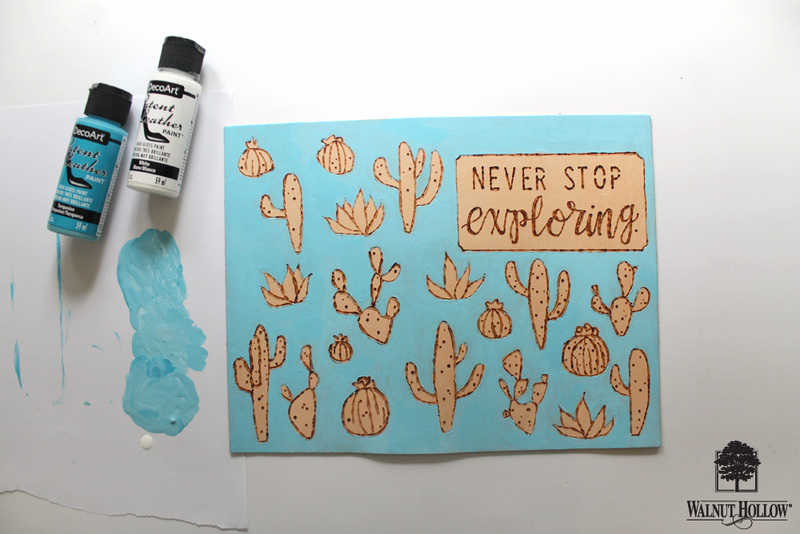 She is a lover of everything crafty and is the girl behind the blog Studio Katie, where she posts DIY’s, art journals, scrapbooks, and all sorts of creative things. are you going to have kits for this? Hi Jeanne, we will not have kits available for this project. However, all of the supplies needed are listed in the post!